This Labor Day weekend felt like our own New York stay-cation, as my husband and I celebrated our first anniversary together. We went to The Standard Grill for a delicious brunch, Le Bain for drinks, and topped off our day with a fancy dinner at The Nomad. I highly recommend it, if you’ve never been. The food is absolutely delicious. Monday felt peaceful. Central Park was empty, but full of beauty, as usual. With some clouds above, we still decided to have the picnic that we had planned. We packed our colorful picnic blanket from Anthropologie, along with a few goodies. I wore Yumi Kim’s Ellen Tank, with a beautiful navy, elephant print, paired with white cutoff shorts. Yumi Kim’s Fall arrivals are full of color, lovely prints, and great styles. Their store is definitely worth a visit. 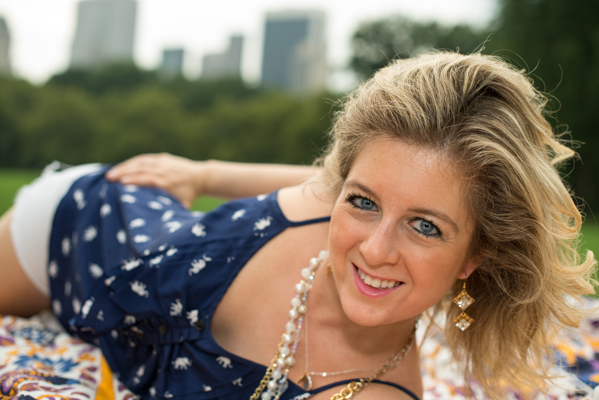 Gold Vermeil Earrings. 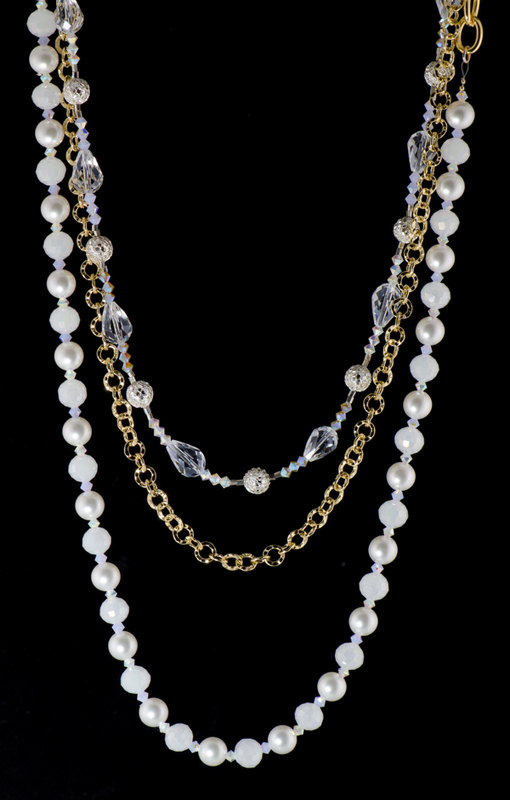 The necklace was created from strands of beaded pearls, Swarovski crystals, and gold chain. 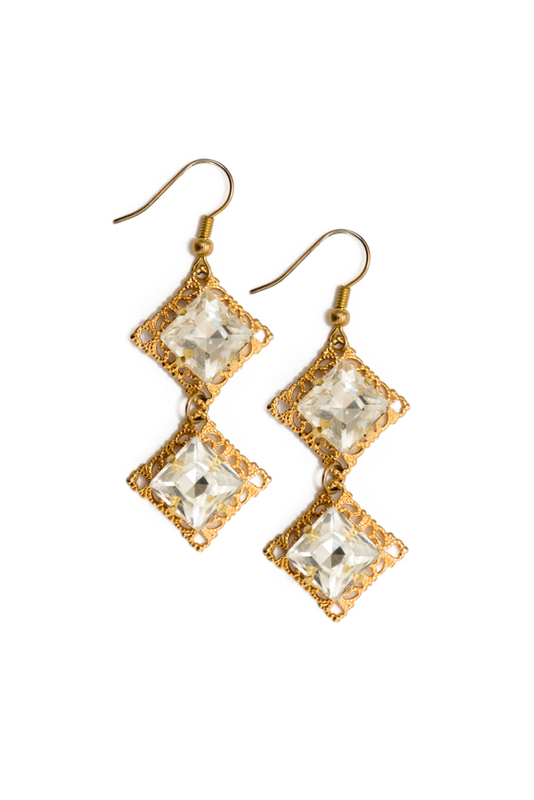 The earrings were designed from gold vermeil pieces, and clear crystals. We spent our afternoon, enjoying our picnic, snapping photos, and ended our weekend with a little stroll down Madison Avenue. With all of the fall fashion in the windows, I am inspired to choose my upcoming outfits for Mercedes Benz Fashion Week. Hope your weekend was incredible. Stay posted for our upcoming Fashion Week coverage. You can purchase any of the jewelry featured in this post from our online shop.